Ever dreamed of surfing in Saudi Arabia? Is it even possible to surf (on the water) in Saudi? It sure is, and if you read on to the end of this post you’ll find “Saudi surfing expert” Mart Howell’s recommendations for the best places to surf in Saudi Arabia and where to get your gear from. Whether it be on the sea, sand or roads, there is one go- to person I think of whenever I have a question about something surfing-related in Saudi Arabia. A few months back I was looking for the perfect sand-boarding device and thought of asking my friend Mart about his recommendations. We’d already tried the sand boards they sell in some of the camping stores, but they weren’t actually sliding very well. I had an idea to test out a bodyboard on sand dunes, and after discussing with Mart I was convinced it will be the perfect device for kids to go to “pulkkamäki” (downhill sleigh-riding) with. But were to find surfboards in Riyadh? Turns out I managed to find a bodyboard in Riyadh with the help of some friends, and I can confirm it worked! A little bit too well, the board is so slippery it literally flies down a steep dune. 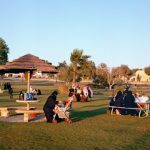 The following is a write up by Mart Howell, a blogger, surfing enthusiast, writer and teacher residing in the Eastern Province of Saudi Arabia. 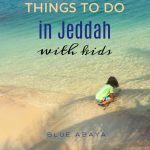 His blog A Saudi Season was featured in Blue Abaya’s 2016 list of recommended blogs in Saudi Arabia. 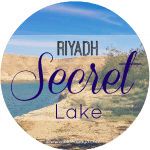 Like so many expatriates that have gone before me, I arrived in Riyadh with fairly negative preconceptions about the environment, people, and prospects for fun in such a closed country. In contrast to most expats, my main concern wasn’t the non-existence of pubs and clubs, segregation of sexes, or fear of terrorism. Rather it was waking up to the reality of being trapped hundreds of miles away from the coast with zero prospects for continuing the life of a surfer. You see I had spent many of the preceding years pursuing the surf dream in scores of tropical locations, and this was the first time in my life that I would be further than one hour away from a surfable beach. Creeping financial pressures had forced my acceptance of a one-year English teaching contract anywhere in the Kingdom, and now my life was in the hands of a dubious contracting company. After just six weeks in Riyadh a twist of fate found me onboard a Saudia jet bound for the northern provinces. As the plane descended towards Al Jouf, sweeping views over miles upon miles of golden dunes gave rise to the idea of sliding Arabia. The following morning a close-up inspection revealed a host of gentle and steep dunes, that appeared perfect for boarding, less than 1 kilometre from the university campus. The question remained how to become a sand surfer in a country without extreme sports shops. 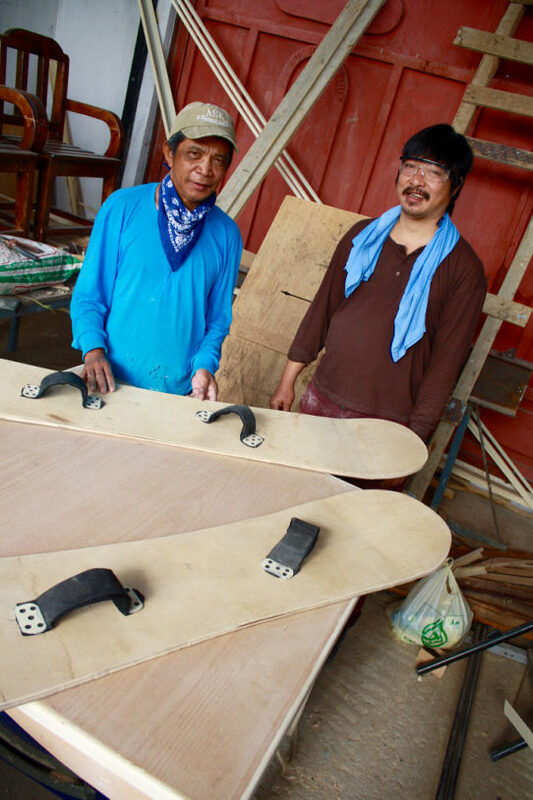 A month later, with the help of a Filipino carpenter, an American teacher and I shaped our first sand boards. We had scoured the internet for a suitable board design and sourced all materials from hardware outlets at the edge of the desert. Sand boarding became my form of big wave surfing. There was air from impromptu ramps. There were big drops and turns on steep faces. I waxed. not the top of the board, but the bottom, to go faster. In the most unlikely place, I was able to continue my love of surfing. Life as a sand boarder imitated my surfer’s lifestyle in so many ways: travelling became partly about finding new, bigger, longer dunes, teaching English was quickly overshadowed by weekend informal boarding lessons for a troupe of Saudi kids who became my proteges, and upon departure a dozen boards and candle wax were left behind for the next generation of sand surfers. My negative preconceptions had been completely shattered in a year of extraordinary experiences: warm, friendly locals invited me for frequent feasts in their tents at the edge of the desert, young kids embraced the joy of the glide and proved Arabs love surfing too, and unforgettable scenery in mountainous Tabuk province surpassed all expectations. That was over four years ago now, but the overwhelmingly positive experience inspired an eventual return to Saudi. Twenty months ago a direct-hire teaching position was advertised in a small city in the far north-eastern provinces. An inside contact persuaded management to hire me two months later, partly due to previous experience in a rural Saudi location. Hitting the ground felt like a homecoming: prices, products, people, driving all the same. The only difference was the board which accompanied me on the plane. Pre-departure internet research revealed winter storms regularly whip up swells up to three meters high in the Arabian Gulf. Google maps showed the city had both north and south-facing beaches, so if the wind blew hard enough waves seemed inevitable. It was enough to convince me to pack a wide, thick fish-style surfboard along with the smart shirts, ties, and newly purchased shoes. Two weeks later and the waves of the north-eastern provinces were no longer virgin surf territory. It was a surreal experience paddling out at a beach where seemingly no one had gone before me. The mosque-strewn backdrop and bellowing call to prayer reminded me this was a far from normal surfing experience. Over the next year I quickly became an expert on how to predict the arrival of waves in a country where no one really surfs. I learnt that around once a week the wind blows hard enough to produce rideable waves in the winter months. Fast forward to today and my six-year old son and I are regulars at a host of different surf spots in NE Saudi. The nearest documented surfers live over the border in Kuwait City and in Dubai, UAE. A year ago I connected with an Australian-based Saudi surfer, Mohammed Kurdi, on Facebook and introduced him to the remarkable waves in his homeland. A few years before he had surfed tiny days inside an Aramco compound in Dammam area, but reflected that the discovery of real surf inside the Kingdom was more exciting than any oil well he’d been involved in finding. Of course Saudi isn’t a year-round surfing destination. The stifling heat of the summer months, and reduced strength of the breeze, turns the Arabian Gulf into a hot millpond. On the frequent flat days my son and I ride ripstiks, two-wheeled skateboards, which allow us to land surf along the beautiful corniche and other smoother surfaced roads near the grand mosque. Skateboards of any kind aren’t available in the city, and seem rare across the whole country. Like sand and sea surfing, land surfing will find you stand out against the local crowd, but it’s a whole lot more fun than drifting a 4×4 and it keeps you super fit too. There is little doubt that the availability of these three pursuits has livened up my Saudi life and prolonged my stay to one of semi-permanence. 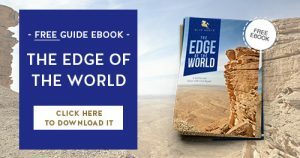 If you want to follow in my footsteps then read the below guide to land, sea, and sand surfing in the Kingdom. It might not be easy to surf here, but rewards are out there if you have enough passion, commitment, and drive to turn a dream into a day-to-day reality. 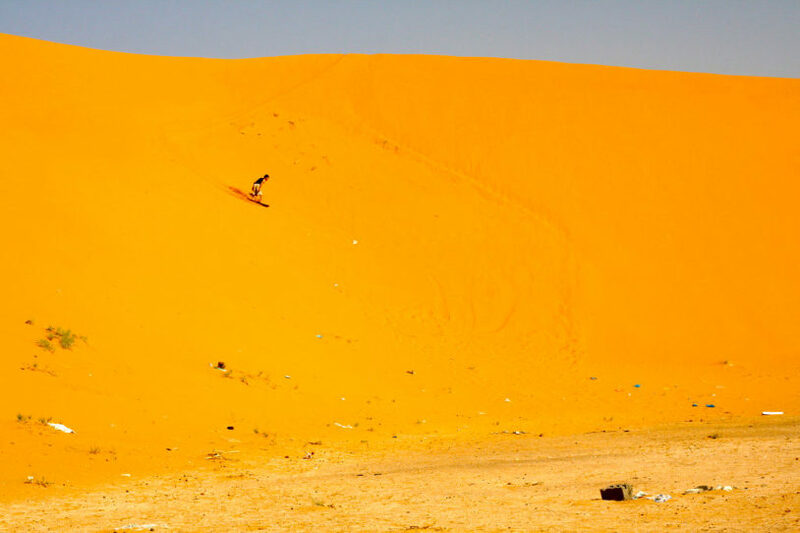 Best spots: (i) Al Nafud desert, Northern Provinces near Sakakah, you’ll find heaps of perfectly rideable sand dunes. Not that long, but the range of slopes makes this a beginners paradise. (ii) Al Ula, Western Province, has a range of slopes worth exploring with dramatic mountain backdrops (iii) Red Dunes, near Riyadh, are the ideal getaway from the big city. 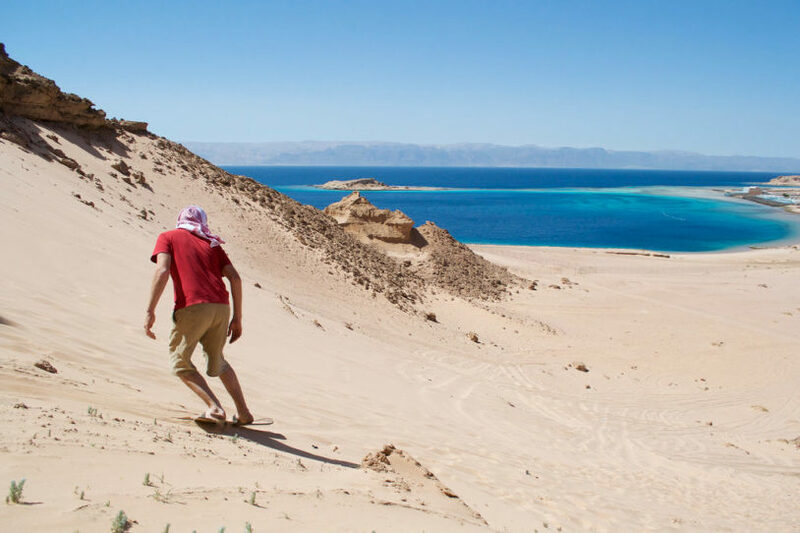 (iv) Haql, Northern Provinces, is an incredibly beautiful area with long sand dunes right on the beach overlooking Egypt (v) Empty Quarter desert, the ultimate sand dunes in the south of Saudi, but you’ll need a reliable guide. Equipment: High quality sand boards are available to buy in Dubai for around US$100. Alternatively, go online and design and make one yourself or get a carpenter to help you. You’ll need wax too, to put on the metallic bottom of the board to reduce friction and allow the board to slide. Best spots: (i) Ras Tanura area, Eastern Provinces. Look for beaches exposed to frequent winter northerly swells when the Shamal wind blows out of Iraq (ii) Safaniya area, North Eastern Provinces. Look for accessible south-facing beaches between Safaniya and the Kuwait border. These beaches pick up south-easterly swells building between the Emirates and Saudi and offer the biggest waves in the country. (iii) Red Sea has possibilities too. Keep on eye on the weather forecast and head to the beach when the wind is blowing hard for a day or two. Equipment: High quality surf boards are available to buy in Dubai for around US$600. Alternatively go to Bali and buy a good board for around US$400. To get the most out of the waves in the Kingdom you really need a long board or a thick, wide fish. It rarely gets bigger than chest high, so a 9′ long board will find you catching far more waves than a standard short board. Equipment: Purchase online or once again head to Dubai to pick up a ripstik, skateboard or long skateboard. I’ve been blogging about Saudi life for four years now, so please check my blog http://saudi-season. blogspot.co.uk/ which was recently included in Blue Abaya’s Top 20 Blogs in the Kingdom. It includes detailed pages on surfing and teaching in Saudi Arabia, and offers a glimpse into my day to day life too. Finally, please watch my latest short film,”Saudi Rips“, in which my six year-old son shows off his growing skills on land and in the sea. Through his eyes Saudi rips, an expression of positivity in surf and skate circles, how about through yours? If you’re not getting enough out of your Saudi life then take steps to change it. 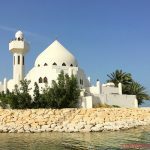 Weekend Staycation in Jeddah-Why You Should Visit Jeddah! Sun and Sand Sports in Dhahran Mall has been carrying some skateboards along with decent push scooters. The push scooter was my wife’s transportation of choice inside our smaller compound before we moved to a bigger one. amazing article and Video ! Thanks for that! My question is: what about a woman surfing ? Is that acepted? Of course qith a full wetsuit on.